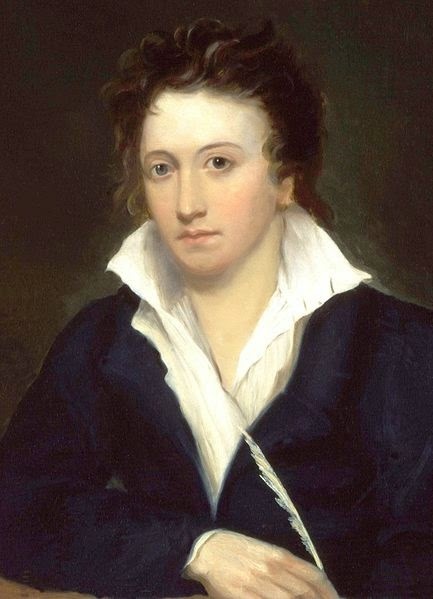 Percy Bysshe Shelley (1792–1822). The Cenci. When the monstrous Cenci forced his daughter Beatrice into a horrible situation, she revolted and boldly struck for freedom. Shelley tells her pitiful story in one of his best works. A Magnificent Hall in the Cenci Palace. A Banquet. Whose presence honours our festivity. But tender-hearted, meek and pitiful. To act the deeds that rumour pins on you. Has brought us hither; let us hear it, Count. Cenci. It is indeed a most desired event. Then honour me thus far—for I am he. Must have befallen my brothers. Beatrice. Ah! My blood runs cold. Which wrinkles up the skin even to the hair. Beatrice, read them to your mother. God! By ways inscrutable, the thing I sought. Are dead!—Why, dead!—What means this change of cheer? Expect I should maintain them in their coffins. Rejoice with me—my heart is wondrous glad. [LUCRETIA sinks, half-fainting; BEATRICEsupports her. Beatrice. It is not true!—Dear lady, pray look up. He would not live to boast of such a boon. Unnatural man, thou knowest that it is false. Which shows that Heaven has special care of me. The day a feast upon their calendars. Ay, read the letters if you doubt my oath. [The Assembly appears confused; several of the guests rise. I do believe it is some jest; tho’ faith! ’Tis mocking us somewhat too solemnly. ’Tis but to season some such news; stay, stay! I see ’tis only raillery by his smile. To hear the death of my accursèd sons! Here, Andrea! Bear the bowl around. A Guest (rising). Thou wretch! Some ill will come of this. Second Guest. Seize, silence him! That kills, and none dare name the murderer. [The Banquet is broken up; several of the Guests are departing. No refuge in this merciless wide world? Till it thus vanquish shame and fear! O think! Was perhaps some paternal chastisement! As fathers make over their children’s graves. Beatrice (not noticing the words of Cenci). Dare no one look on me? The sense of many best and wisest men? Of scrupulous law, that ye deny my suit? O God! That I were buried with my brothers! Were celebrating now one feast for all! Colonna. Nothing that I see. Yet I would second any one. Cenci. Retire to your chamber, insolent girl! Where never eye can look upon thee more! But ill must come of ill.—Frown not on me! My brothers’ ghosts should hunt thee from thy seat! And start if thou but hear a human step. Pray that he pity both ourselves, and thee. Has spoilt the mirth of our festivity. Spectators of our dull domestic quarrels. Another time.— [Exeunt all but CENCI and BEATRICE. Give me a bowl of wine! [To BEATRICE. Beast that thou art! Fair and yet terrible! Now get thee from my sight! [Exit BEATRICE. With thinking what I have decreed to do.— [Drinking the wine. It must be done; it shall be done, I swear! [Exit. An Apartment in the Cenci Palace. Had killed me, he had done a kinder deed. We have no other friend but only thee! I am not your true mother. My father, do you think that I should weep! Lucretia. Alas! Poor boy, what else couldst thou have done? Beatrice (in a hurried voice). Did he pass this way? Have you seen him, brother? Even as he did after the feast last night. Almighty God, how merciful thou art! ’Tis but Orsino’s servant.—Well, what news? Has sent back your petition thus unopened. [Giving a paper. Lucretia. At the Ave Mary. [Exit Servant. So daughter, our last hope has failed; Ah me! Your eyes have a chill glare; O, dearest child! Are you gone mad? If not, pray speak to me. Beatrice. You see I am not mad: I speak to you. Than when he smiled, and cried, My sons are dead! To see if others were as white as he? The devil was rebuked that lives in him. Has been our only refuge and defence. Succeeding to your unaccustomed fear? ’Twere better not to struggle any more. ’Twere wise to die: it ends in that at last. What did your father do or say to you? One moment in your chamber.—Speak to me. Bernardo. O sister, sister, prithee, speak to us! And I have never yet despaired—but now! What could I say? [Recovering herself. Ah! No, ’tis nothing new. Beyond his wont, yet it disordered me. I should preserve my senses for your sake. Till God in pity call for him or me. Shall be remembered only as a dream. Beatrice. Talk not to me, dear lady, of a husband. Did you not nurse me when my mother died? Did you not shield me and that dearest boy? To win our father not to murder us? She left, with more, even, than a mother’s love! With sports, and delicate food, and the fresh air. O never think that I will leave you, Mother! Lucretia. My dear, dear children! Come hither! [She shrinks back, and covers her face. That which I came to tell you—but in vain. Beatrice (wildly, staggering towards the door). O that the earth would gape! Hide me, O God! Fled from your presence, as you now from mine. Me least of all. Now get thee to thy chamber! Thou too, loathed image of thy cursed mother, [To BERNARDO. Thy milky, meek face makes me sick with hate! [Exeunt BEATRICE and BERNARDO. How the delighted spirit pants for joy! Lucretia (advancing timidly towards him). O husband! Pray forgive poor Beatrice. She meant not any ill.
Parricide with his alphabet? Nor Giacomo? Enmity up against me with the Pope? Innocent lambs! They thought not any ill. Put sudden poison in my evening drink? Or smother me when overcome by wine? Of this decree enregistered in heaven? Oh, no! You said not this? I never thought the things you charge me with! That Beatrice disturbed the feast last night? What every nerve of you now trembles at? Few dare to stand between their grave and me. Until she heard you talk of her dead brothers. Cenci. Blaspheming liar! You are damned for his! All things—not question that which I command. What might make dumb things speak.—Why do you linger? Make speediest preparation for the journey! [Exit LUCRETIA. Is penetrated with the insolent light. Come darkness! Yet, what is the day to me? A deed which shall confound both night and day? Towards my purpose.—Would that it were done! [Exit.